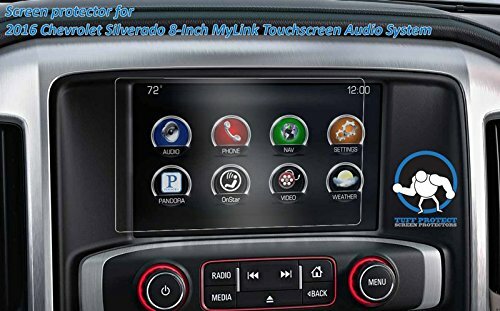 Tuff Protect Screen Protectors specializes in Screen Protectors for Automotive OEM Touch Screen Radios and Navigation, After Market Car Stereo Head Units, Fish Finders and many more. Our Screen Protectors are constructed from high quality PET film made exclusively for electronic touch screen devices. Each piece is cut to a precise measurement to fit your Screen. We guarantee our Screen Protectors for life for any issue, this also includes any issues with installation, size or fit. Just let us know and we will send you out a replacement completely free of charge. We stand by our products and pride ourselves on customer service and will work through any issue and never leave you hanging. We offer free Standard shipping on all of our products via USPS. If you would like your order shipped express or through another carrier for an additional fee, just let us know we are flexible. We cut all of our Screen Protectors in house right here in the USA. So your order will usually ship the same day if it is placed before 1pm on Weekdays or the next day if its past 1pm. Orders placed after 1pm on Fridays will not ship until Monday unless of course Monday is a holiday then it will ship the next business day. Each pack contains 2 Films, 1 Squeegee card, installation instructions and a micro fiber cleaning cloth. Anti-Glare option is also available. Please contact us for details. Need one for a different year, model or other type of device? Send us a message we have sizes for just about anything and if we don't have it, let us know the size and we will cut it for you. If you have any questions about this product by Tuff Protect Screen Protectors, contact us by completing and submitting the form below. If you are looking for a specif part number, please include it with your message.